If you have ever heard the real Abba’s music (hasn’t everyone?) then you will know it goes straight for the ‘Happy Button’ in your brain and hits it with a sledgehammer. I am pleased to report that the tribute band ‘Abba Mania’ certainly didn’t disappoint! The onstage format was simple, with a plain black backdrop, some essential lighting and a no-frills band line-up but the polished, professional and energetic performances of the band more than made up for any lack of visual grandeur. Naturally the women were the stars of the show and looked like a million Krona in every outfit. Electric blue disco pants leave very little to the imagination, I’ll have you know, but this ‘Agnetha’ and ‘Anni-Frid’ have nothing to worry about in the flab department..or the camel-toe department…oh, the relief. Their choreography was perfect and their stage presence undeniable, and there was enough audience interaction to keep even the most raucous hen-party satisfied. Most importantly, their voices were strong and uplifting- I’d wager they sounded every bit as good as the real thing. ‘Benny’ looked the part but was barely noticeable shielded behind his enormous keyboard, however ‘Björn’ added some welcome comedy to the show, merrily prancing about the stage and looking for all the world like a camped-up, satin version of a Star Wars Imperial soldier, with white, glam-rock knee-boots and a frankly hilarious synthetic wig that had us wiping tears of mirth on more than one occasion. It was clear that he thoroughly enjoyed every minute and didn’t care who knew it. All the classic songs were there and there were many, along with a couple of slightly dodgy ones that most people had never heard of, but this was clearly deemed an unofficial cue to answer the call of nature by what appeared to be half the ladies in the audience, so no harm done there. 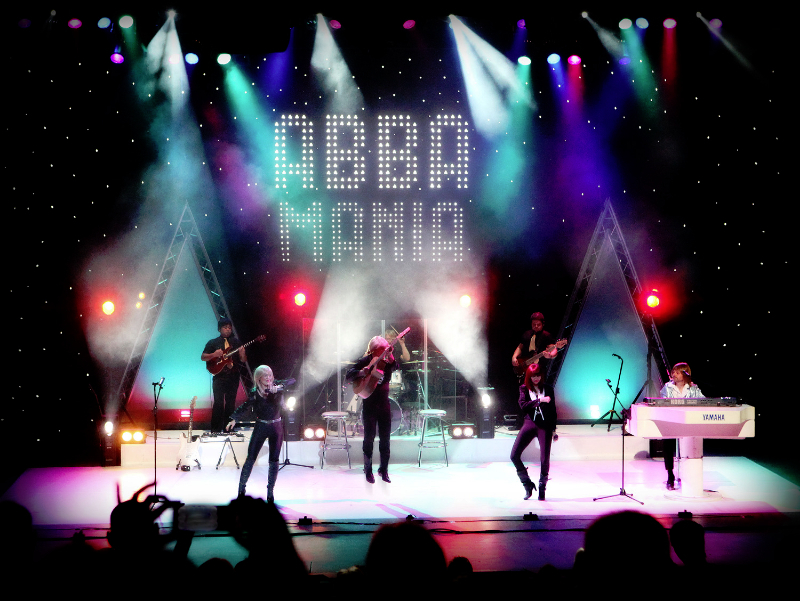 If you want an uncomplicated, cheerful night out then you could do much, much worse than ‘Abba Mania’- truly a show for every generation.